If you find yourself with a leftover box of matzo or two, these five recipes will show are variety of delicious ways to cook with this unleavened bread. You can prepare anything from breakfast to dessert. Continue to read below to see how many ways matzo can be transformed into other tasty foods. If graham crackers can be used as a cheesecake crust so can matzo. This toffee crunch cheesecake makes use of leftover matzo by transforming it into an amazing crust. The matzo crumbs are mixed with brown sugar and butter before it is topped with a chocolate ganache. Needless to say, this dessert is a winner. The thing I love about matzo is that is can eaten with sugar or salt. 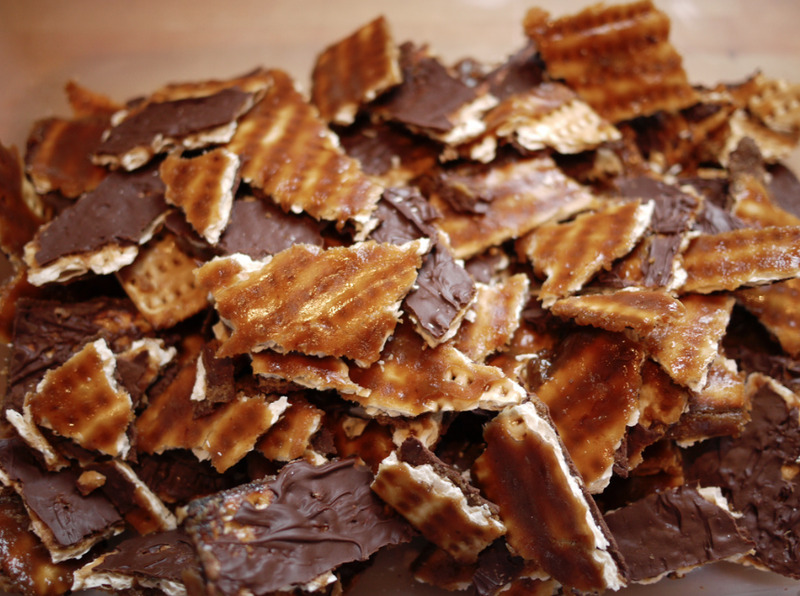 This quick and easy candy recipe coats matzo in caramel and chocolate. The crisp unleavened bread is balanced by the rich chocolate and buttery toffee to make one supreme treat. Matzo granola is a genius way to make use of leftover matzo. Whole wheat matzo is toasted with a variety of nuts and tossed with a brown sugar and honey mixture. The granola is baked until the syrup has set and caramelized. At this point you can toss in whatever dried fruits or chocolate you like. Matzo brei is a Jewish comfort food that can be served sweet or savory, depending on the condiments served alongside. The basic recipe combines matzo, eggs, butter and/or oil and cooks them together in a frying pan. Sweet matzo is accompanied by jam or honey while savory matzo brei can be eaten as is or with vegetables and lox. We have already given you a killer recipe foe matzo brei but if you want to take this dish to the next level, try these wonderful breakfast sandwiches. 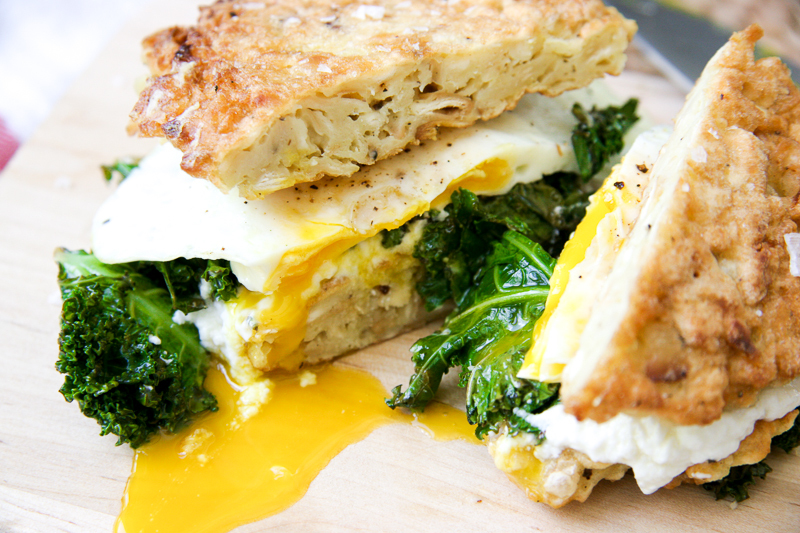 These particular sandwiches are stuffed with smooth ricotta cheese, sauteed kale and a fried egg.